Mississippi Medicaid aims to provide comprehensive health services to those in financial need within the state. The programs are targeted at the most at-risk groups for poor health, such as families with young children, the aged and the disabled. Medicaid is based upon financial need and offers a wide package of health services either free of charge, or at a very low cost. Up to 12 visits to the doctor each year. 30 days of inpatient care at a hospital. Up to five prescription medications per month (children under 21 may get additional prescriptions by doctor request) 1 Pair of eyeglasses every five years. Various psychiatric in and outpatient care services, including long term care for mentally retarded patients under the age of 21, and both emergency and non emergency medical transportation. Citizens eligible for State Medicare will also receive dental benefits, dialysis and chiropractic services. All of the above services are offered free, or at minimal charge, but must be based on doctor certified medical need. Eligibility for Medicaid is based primarily on the state of your finances. The aged (people of 65 years or older), may qualify for Medicaid if they are have a low monthly income, and the net value of their assets (including any homes or property) is also low. The blind and disabled will be eligible for Medicaid if it can be shown that their disability hampers their ability to provide a valid living for themselves. Health officials will evaluate the severity and likely duration of the disability when, making an evaluation of need. To find out the specific financial requirements for your situation, and to see if you may be eligible to receive Medicaid benefits, visit your local Medicaid office and speak with the health officials there. 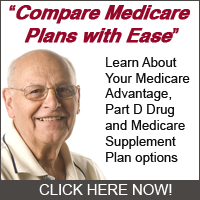 Or visit: http://www.dom.state.ms.us/Eligibility/eligibility.html for any Medicaid related query. The state of Mississippi is striving to provide comprehensive and quality health coverage for all people of the state, irregardless of their respective financial situations. Take advantage of the projects and health services run by the State of Mississippi, and ensure that you’re getting the best health services possible.